For the fifth straight season, the WAC Baseball Tournament will take place in Mesa, Ariz., as the 2018 championship returns to renovated Hohokam Stadium, preseason home of the Oakland Athletics. The top six eligible teams will advance to the double-elimination tournament, which will be held May 23-26, with the eleventh game scheduled for May 27 if necessary. Improvements to Hohokam Stadium are immediately noticeable as the exterior and entrance gates has been painted and re-branded with the familiar Oakland Athletics green and gold color scheme. The stadium also features refurbished seating, a state-of-the art scoreboard and a new and expanded clubhouse. The bleachers along the left field and right field foul lines have been replaced with party decks. 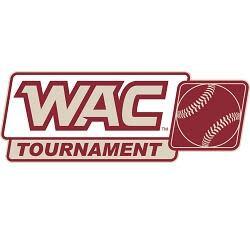 The top six teams from the WAC’s regular season standings will advance to the tournament. The WAC Baseball Tournament is no stranger to the state of Arizona and the City of Mesa. The league’s championship has been played in Arizona 16 times (1963, '65, '67, '69, '71, '73, '75, '76, '78, 2010, '11, '12, '14, '15, '16, '17) and the event was held in Mesa in 1971, 1973, 2010, 2011, 2012, 2014, 2015, 2016 and 2017. Sacramento State won the 2017 tournament, earning the WAC’s automatic qualification to the NCAA Tournament.